REPAIR OF THE SHIP LADY MARIA..
REPAIR OF THE SHIP LADY MARIA. Between October and December, 2012 there has been realized the repair of the hull and pipelines in the ship LADY MARIA belonging to the company ESPA-GAMBIA INTERNATIONAL LIMITED. 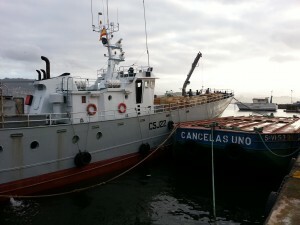 Montajes CancelasREPAIR OF THE SHIP LADY MARIA.